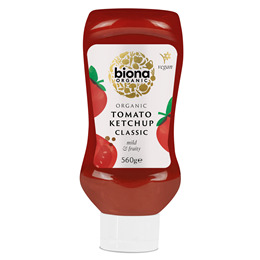 A classic ketchup recipe, with 70% organic tomatoes, raw cane sugar, vinegar, salt and spices for an extra fruity mild flavour in a convenient squeezy bottle. Tomato Puree* (70%), Raw Cane Sugar*, Vinegar*, Salt, Spices. Once opened refrigerate and use within 6 weeks. 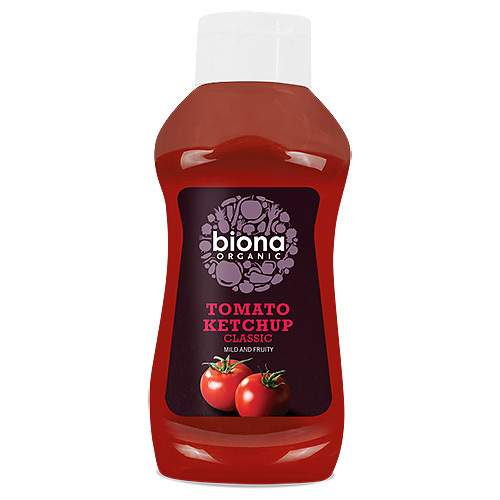 Below are reviews of Biona Organic Tomato Ketchup - 560g by bodykind customers. If you have tried this product we'd love to hear what you think so please leave a review.